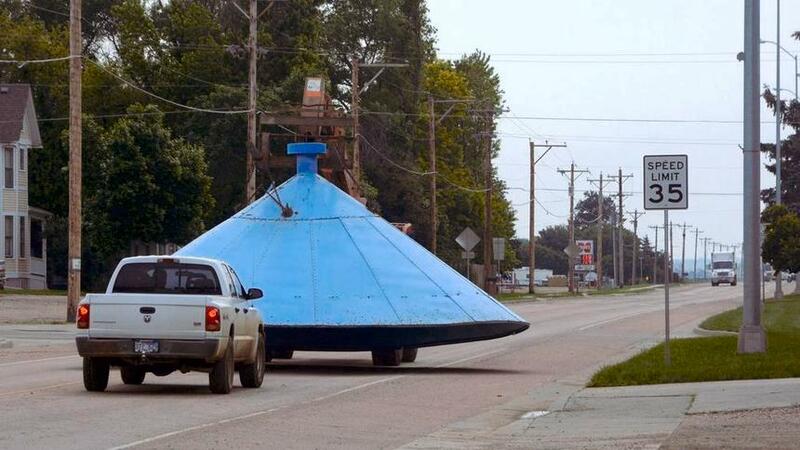 UFO SIGHTINGS DAILY: Odd blue object in South Dakota isn't a UFO, costs $80,000 to replace, UFO Sighting News. Odd blue object in South Dakota isn't a UFO, costs $80,000 to replace, UFO Sighting News. (Forum News Service) - No, it's not a UFO. 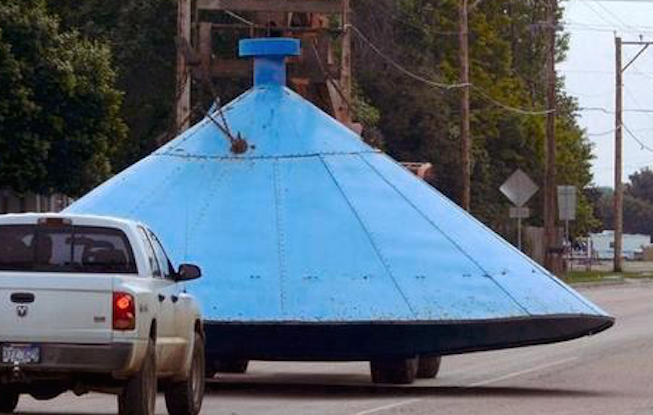 The old lid to Menno's water tower heads down Highway 18 through Menno early Thursday. The lid was replaced because fastening brackets had begun to fail, leaving gaps that posed potentially unsanitary conditions. Menno Mayor Darrell Mehlhaf said the new lid will cost the city about $80,000 when fabrication, painting and installation costs are all tallied. The old lid was sold as scrap and will be used for an undisclosed purpose on a nearby farm.